While I was hiking along a power line, I not only saw whorled milkworts (Polygala verticillata), I also found some field milkwort (Polygala sanguinea)! This beautiful species is in the same genus and the same family (milkwort family, Polygalaceae) as the whorled milkwort. 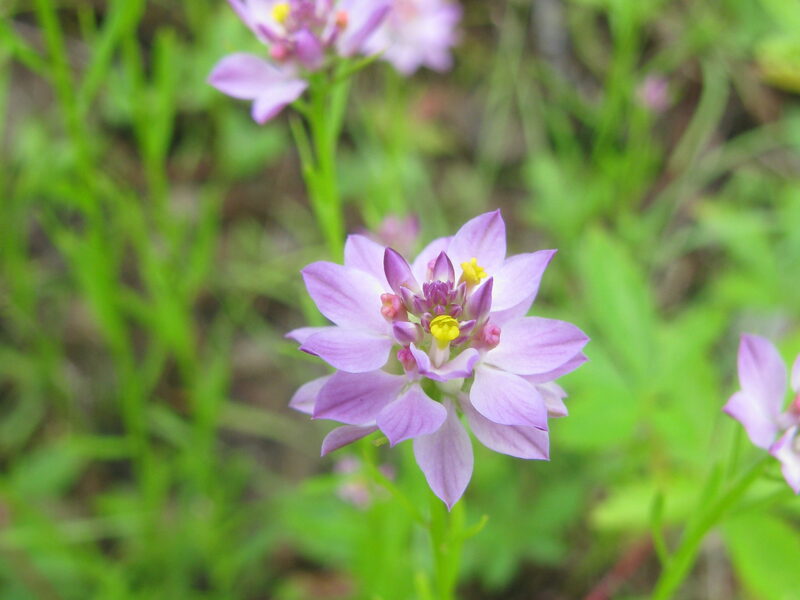 Like all milkworts, they have large showy sepals and three petals which end in a fringe that protects the stamens (male parts) and the style (female part) (Michigan Flora Online: Polygala). 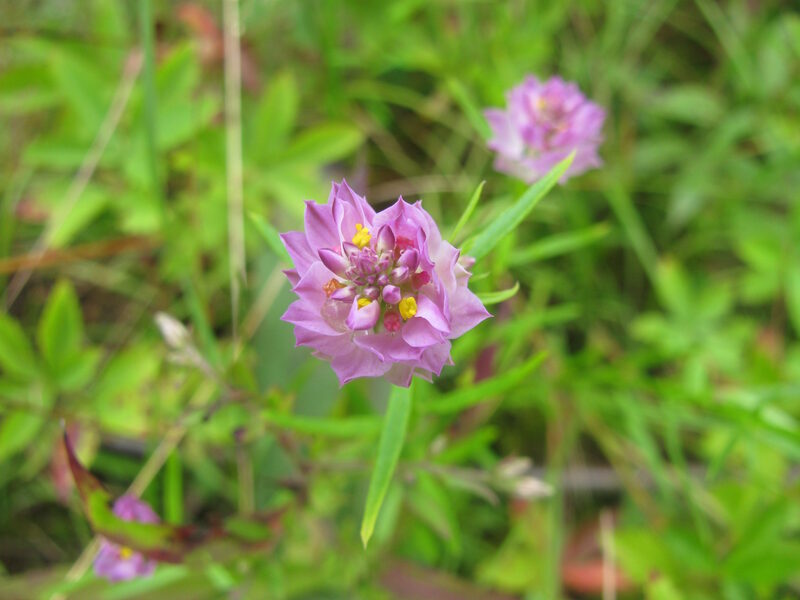 The field polygala is identified by its wide leaves, large flowers, round pink sepals, and fat inflorescences (clusters of flowers) (Go Botany: Polygala). 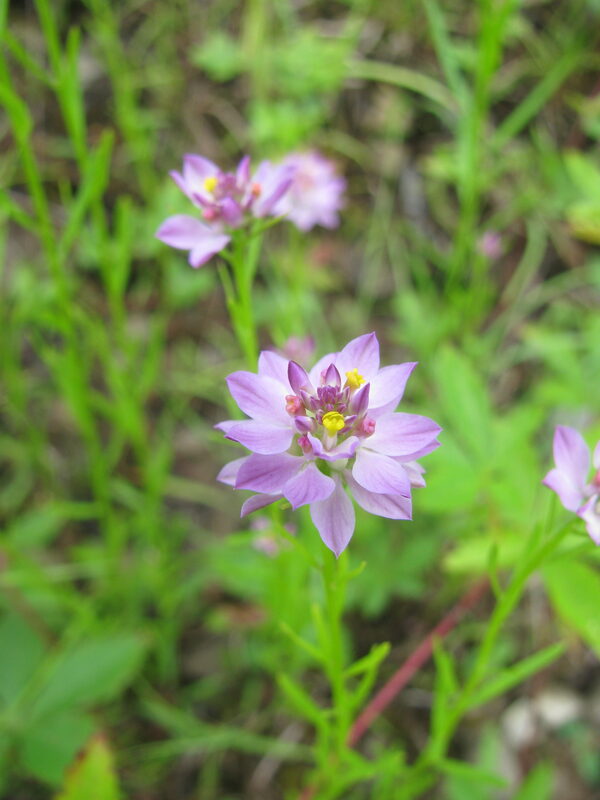 The flowers are pollinated by bees and it spreads by reseeding itself (Illinois Wildflower: Field Milkwort). 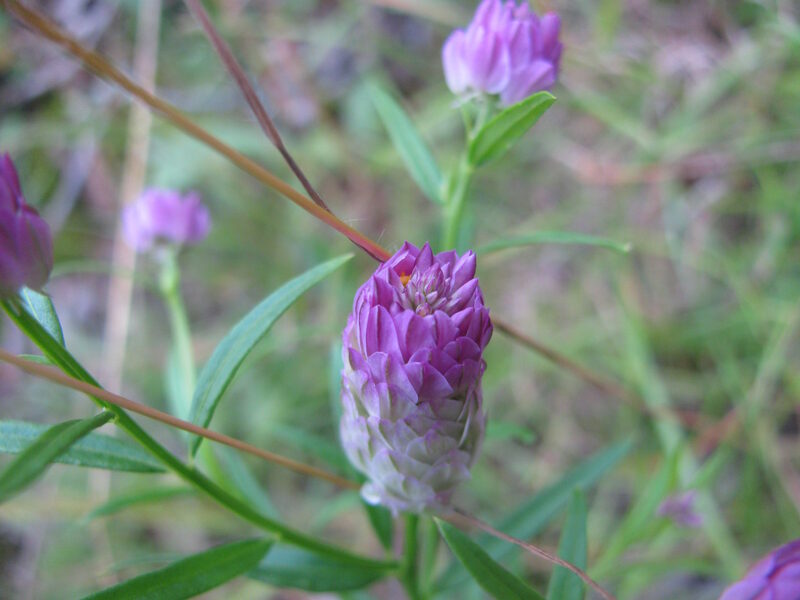 It is found throughout the Eastern US from Maine to Georgia and over to New Mexico (USDA Plant Profile: Polygala sanguinea). Field milkworts have three color forms of their flowers. The most common is the purple-pink form in the photos here. There is also an all-white form called Polygala sanguinea f. albiflora and a green form called Polygala sanguinea f. viridescens (Michigan Flora Online: Polygala sanguinea; Flora of Wisconsin: Polygala sanguinea).